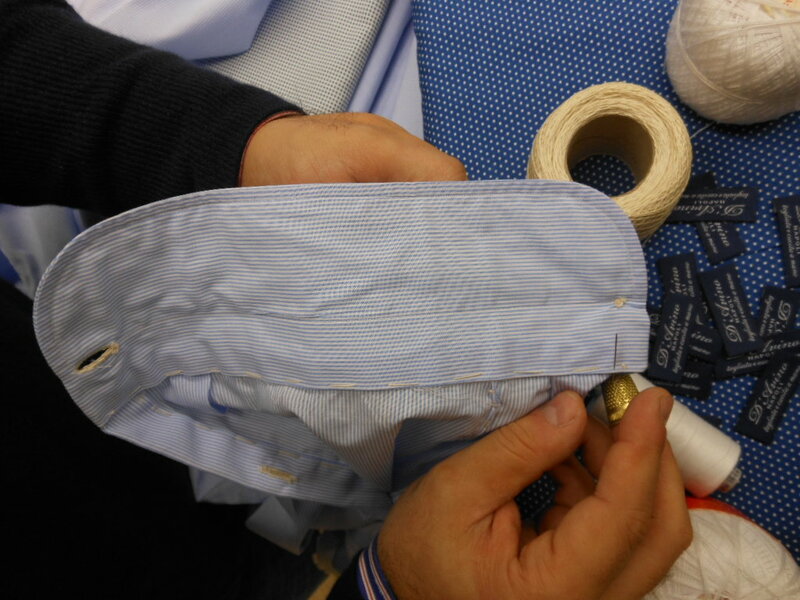 One of the new makers I met in Naples last month was D’Avino, a small shirtmaker run by Fiorenzo Auricchio (above). Fiorenzo trained as a boy under his father, who worked for Gino Borelli – so a pretty decent education – and then set up his own company. As regular readers will know, I regularly use Satriano Cinque to make my shirts, and I have been more than happy with them. Given the people I have met at the Satriano visits over the past few months, others are clearly happy with them too. D’Avino is the ultimate. 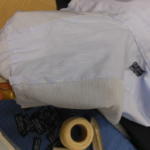 Everything on the shirt except the long side seams and the edging of collar and cuffs is done by hand. 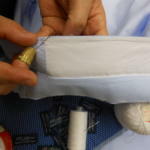 As with Kiton, the side seams are also turned and then stitched by hand again, to give the seam pliancy. Indeed, in a few small ways D’Avino goes further than Kiton. 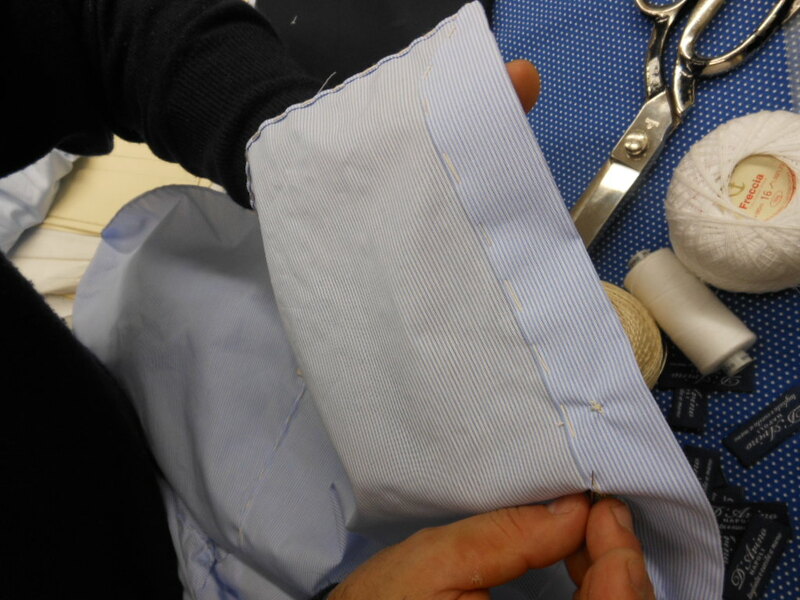 The placket on the sleeve is entirely constructed and attached by hand; the seam along the back of the yoke is done by hand; the cuff is attached to the sleeve by hand. Fiorenzo puts it at 25 hand operations, where Kiton is 17. I haven’t counted my shirts, but I’ll take his word for it. These are all tiny, unnecessary details. They make no functional difference to the shirt. 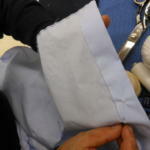 Perhaps attaching the cuff by hand gives it natural curve, as with the collar, but it’s tenuous. As with many aspects of a Cifonelli suit (of which more later in the week), the value is in the pure aesthetics, the pleasure of craft for its own sake. 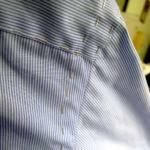 D’Avino shirts run from €250 to €400. 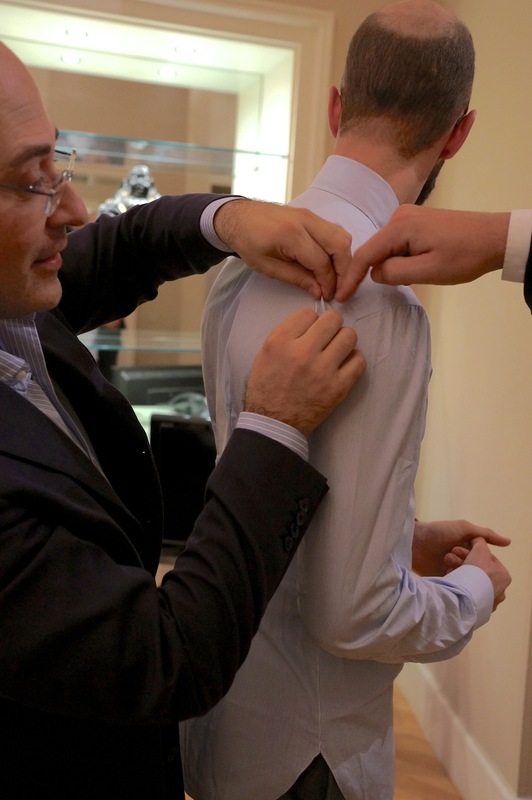 The photo at top is of the fitting in Naples – I will post more when I have the final shirt to assess. In the meantime, click on the images below to see close-ups of Fiorenzo’s work. The yellow stitches are basting. You can follow the discussion on D’Avino shirts, Naples by entering your email address in the box below. You will then receive an email every time a new comment is added. These will also contain a link to a page where you can stop the alerts, and remove all of your related data from the site. Great post. I am a very big fan of your blog. Your posts on shirts have been extremely helpful as I (like several others who follow you) am interested in making a shift to new shirt makers. You’ve discussed what to look for in terms of quality but I have been interested in what the differences in style are between English and Neapolitan shirts. So much has been written about the differences in suit styles (shoulder, drape etc.) between England, Naples, Rome, Milan etc. but I have not found much on the differences in shirt styles. I was hoping you could address this in some future post. Thanks! Sure Kevin – could you describe a bit more what you mean by style? Given this is bespoke, you can of course pick many aspects of style yourself. And what is more fixed (fusing, sleeve shoulder) is construction-driving-style. Thanks Simon. 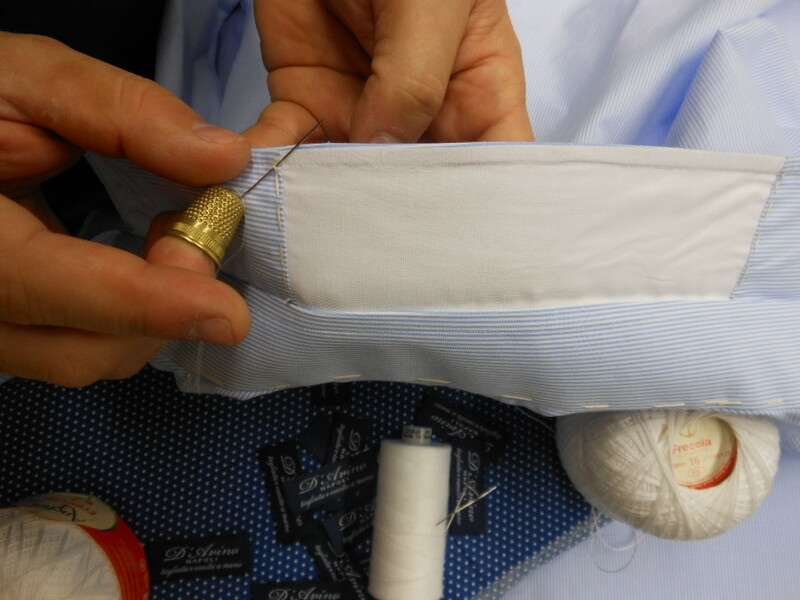 You once wrote “If you’re unhappy with the fit of the T&A shirts, but want the style of an English shirt, you could try another bespoke maker like Sean O’Flynn. Moving to a Neapolitan maker is all about style and handwork”. I was wondering what the differences in style you are referring to. Maybe it is all construction-driving-style as you say and that other differences in style (fullness of a sleeve, how high the collar sits etc.) are all just driven by personal preference (as opposed to a suit where a Neapolitan tailor will very likely make only a soft shoulder regardless of my personal preference for example). 1. Who cares about hand operations? 2. Would you, yourself, pay €400 for a shirt? 2. I’d pay €250 per shirt, certainly. from the pictures it looks like the yolk is in one piece. Especially on a striped pattern I prefer the split yolk in order to have the striping parallel to the front facing side of the yolk. It seems quite strange that they invest so much time in hand sewing items that are not strictly necessary (I am thinking about the bottom roll in this regard) and do not split the yolk. Any particular reason for that? Of course the egg-xact word is yoke and not yolk. My mistake. You link to a post about Kiton shirts, but you never stated the price for Kiton bespoke. Second, and perhaps more boldly, how would you rank these Neapolitan shirtmakers with regards to your own personal preference? Kiton bespoke prices are above £350. And they go up to double that. In my personal experience, as to fit, wear over time etc, Satriano has been much better than Kiton. I haven’t had D’Avino to try yet from that point of view. I’ve been meaning to ask you about Kiton. You mention, “In my personal experience, as to fit, wear over time etc, Satriano has been much better than Kiton”. 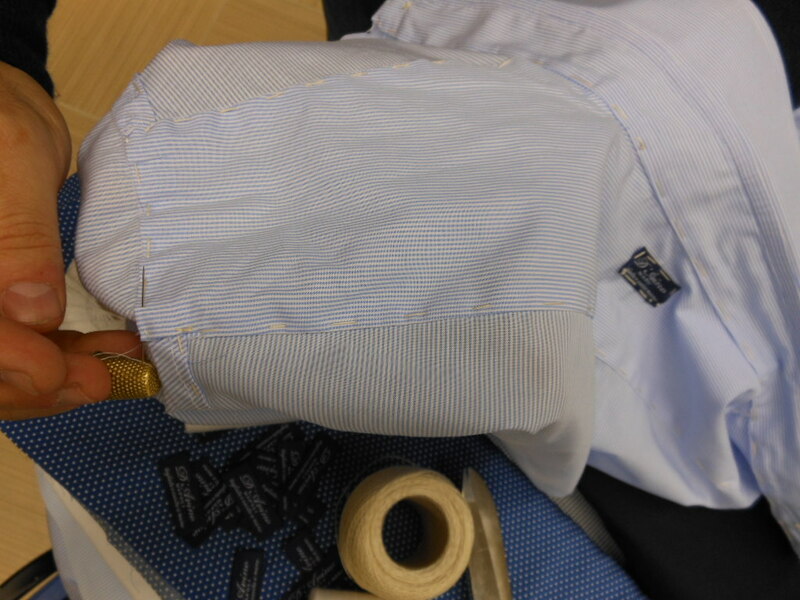 Yet Kiton is identified as the finest shirtmaker in the world in your book, The Finest Menswear in the World. Is this because, in your opinion, Kiton has the finest shirts of the global, mass-produced brands (but is inferior to some of the smaller shirtmakers, like Satriano and D’Avino)? 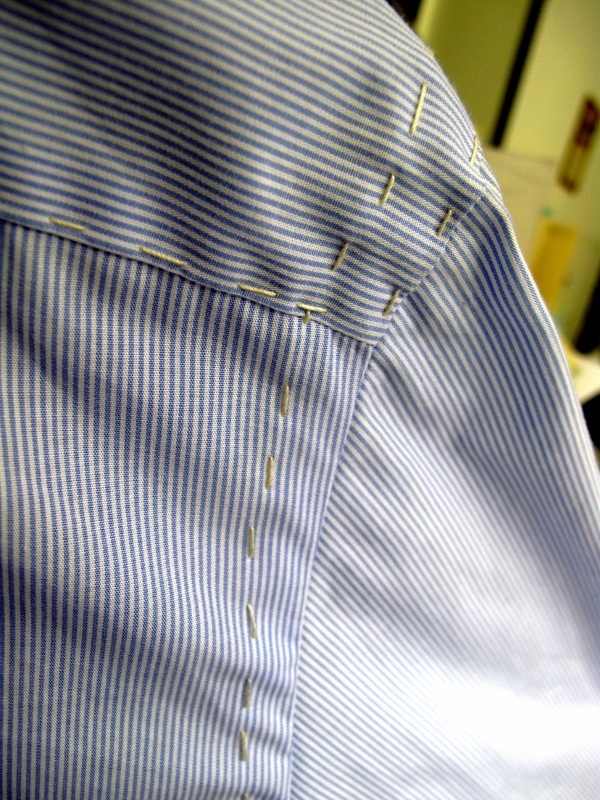 I would love to hear your thoughts about French shirtmakers. I’ve never tried any I’m afraid. I know people who use Charvet, and the experience there is wonderful. Question whether it’s worth the price though. I’m in Paris next week, and interviewing Charvet, so more on them then. Absolutely Jim, never tumble dry or dry clean. In an age where few men wear a dress shirt every day, it’s worth investing and looking after a small number. what are your thoughts on tie pins? i personally think they are very rakish indeed, but how badly do they damage a tie? Wear them with woven ties, not prints, and they should be ok. And knits of course will be fine. 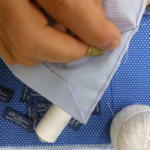 Hi Simon could you share the information on D´Avino the shirtmaker. 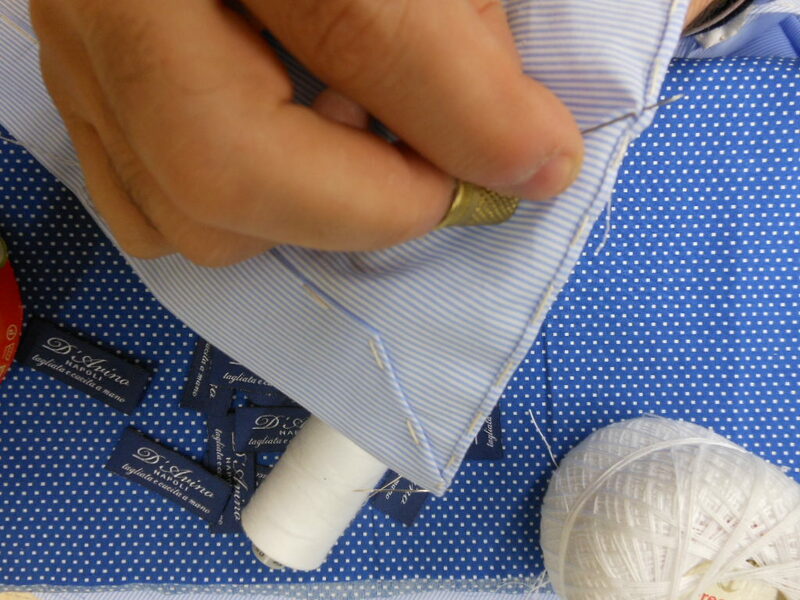 What’s the main difference between English and Italian shirt makers? Do the Italians tend to cut a little tighter around the waist and are therefore less ‘forgiving’? Simon, thanks very much for your answer. I am a novice in clothing and your advice is very helpful! 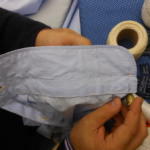 I am also visiting Marco Cerrato to commission a trouser. What cloth/color would you recommend for a casual look? Brushed cotton, flannel? Light grey, kakhi? Would denim be an option?